New research from Yale University identifies a gene in melanoma that can dramatically affect the growth of the disease. The findings, published in the journal Cell Reports, provide new insight into how melanoma grows and identifies a new target for treatment of melanoma and other cancers. Enzymes that chemically modify DNA, known as DNA methyltranferases, play critical roles in regulating gene expression during development, but their role in cancer formation is less clear. The new Yale study has uncovered a novel role for a specific DNA methyltransfearase enzyme — DNMT3B — in regulating melanoma growth. Abnormally high expression of DNA methyltransferases is common in cancers, including melanoma. High expression of DNA methyltransferases can inappropriately switch genes off or on, which can contribute to tumor formation and growth. However, little is known about the specific growth-signaling pathways affected by DNA methyltransferase enzymes like DNMT3B. Yale researchers identified a specific cell-signaling pathway that is dependent on DNMT3B. They found that reducing DNMT3B delayed melanoma formation in mice by affecting mTORC2, a protein complex that is important for controlling cell growth, size, and survival. “We have identified a new target for drug development as well as a new way of targeting an existing pathway. These findings identify DNMT3B as an attractive target for cancer therapy,” said Dr. Marcus W. Bosenberg, associate professor of dermatology and pathology at Yale School of Medicine, and senior author on the study. Malignant melanoma is the most deadly form of skin cancer, accounting for 80% of all skin cancer deaths. 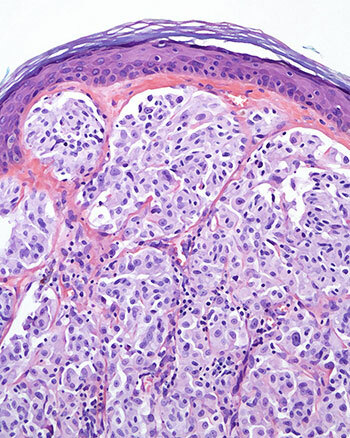 The research, published early online by Cell Reports, could lead to development of new strategies to slow melanoma growth by targeting DNMT3B, say the researchers. All authors are from Yale; they are Goran Micevic, Viswanathan Muthusamy, William Damsky, Nicholas Theodosakis, Xiaoni Liu, Katrina Meeth, and Dr. Manjula Santhanakrishnan. The Sokoloff Family-Melanoma Research Alliance Team Science Award, Yale Cancer Center, National Cancer Institute, and Joanna M. Nicolay Melanoma Foundation funded the study. Be the first to comment on "Yale Researchers Identify Gene That Regulates the Growth of Melanoma"